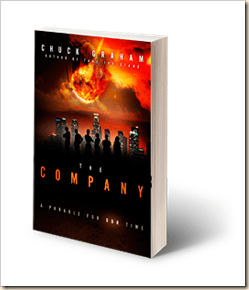 A recent read, I enjoyed was The Company, by Chuck Graham. This book was not at all what I expected. Not sure what I expected, but as I started this book, I was not sure I was going to enjoy it. However, that being said, I was not able to put it down, which says a lot for the author Chuck Graham. <img src="http://lh6.ggpht.com/-lbJbbTKi9zg/UAdnG91HjvI/AAAAAAAAFZY/fp4QFxQdT4M/videob426e0d2fa3b%25255B6%25255D.jpg?imgmax=800" style="border-style: none" galleryimg="no" onload="var downlevelDiv = document.getElementById('3f104b93-17dd-4551-9fc8-530959523870'); downlevelDiv.innerHTML = "
As I read along, what I thought the point was turned out to be wrong, and I was pretty captivated to find out what the point really was. Yes, this is an allegory. However, not at all like the Chronicles of Narnia or Lord of the Rings – this is really in its own class. It is an allegory that takes place in a fictional world, but it very much resonates with our current world today. This is a story about a community that is shielded from a Meteor that strikes the world. Because this community is nestled within several mountains the meteorite has little effect, except to plunge them into darkness, while they assume the rest of the world does not survive. After a period of time, help is offered to these people. This is the story of what they do with that help. I found the book very interesting. While I understood many of the symbolic messages early into the book, there were many that I really did not grasp until the end, and this really added to the entertainment factor of the story. I thoroughly enjoyed the characters from within this community and those of the people group that offer the help. I felt I could resonate with almost all the characters, those with the power, those going in their own direction, and those offering kindness. This is a book that you could easily pass along to a friend who is not a believer, in an attempt to open a great many topics of conversation. The message is a clear one, a clear picture of who God is, what the trinity is, and what our purpose on this earth is. There will be a sequel to this book, The Rise of New Power, and I will certainly be looking for that as soon as it comes out, and there is a copy of the first chapter at the end of this book, to wet your appetite! I would recommend this book, I enjoyed it and expect others would too! To read what others are saying about The Company check out HERE. Chuck Graham’s legal career as an attorney in private practice spanned more than thirty-one years. He represented many local, national, and international clients, acquiring intricate knowledge about the often-overlapping structures of the corporate world. He also worked against those seeking to create racial division, including the Ku Klux Klan. 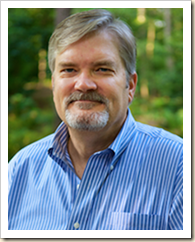 He has serve d as a member of the state bar of Georgia since 1979 and an instructor to attorneys and judges through the Institute for Continuing Legal Education (ICLE). He received the Medallion of Appreciation from ICLE. NOTE : I was offered a copy of this book at no cost, in exchange for an honest review, by LitFuse Publishers.